We have all been aware of the humpback whales last November/December that were getting seen almost daily round Shetland, particularly the four humpbacks that had been feeding between Yell and Fetlar in Colgrave Sound. 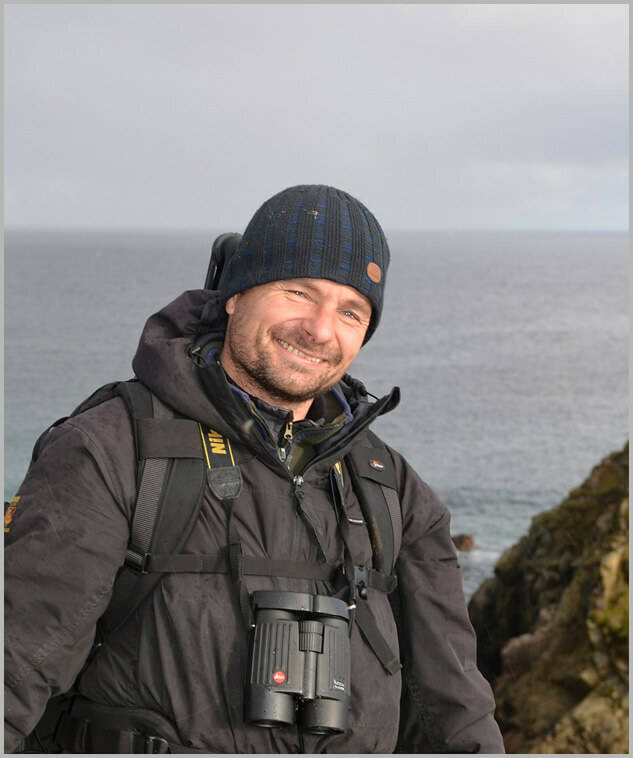 I had been away with work and visiting family and I was desperate to get back to Shetland to try and get some underwater images of these whales. Luckily for me I landed on the Sunday and the forecast for the next two days were excellent particularly the Tuesday. A quick call to Brydon Thomason and we had a plan. Peter Hunter took us out on his boat and provided boat support and the weather was incredibly calm and sunny, rare mid-winters day. Time was limited due to the short days and the sun is low making it dark underwater. I had been for walk out to a headland with Rach and Jack the day before and we had seen four humpbacks really close in shore. We had great views and even Jack got to see them. So we knew what area to start looking in. The following morning we found two of them straight away within ten minutes of leaving mid Yell. They spent the first two hours just resting in this bay not moving far at all. I slipped into the water and waited and within seconds they had come to have a look at me. It was very exciting to see these two large but amazing creatures swim within meters of me and has they passed underneath one of them turned on its side and looked up at me. After a while they started to follow the coast and head out into the sound. We followed at a distance and Peter manoeuvred the boat into the sound and turned off the engine. The whales surfaced 100m away but heading towards us and we just sat there and waited. Then all of sudden one surfaced 20m away and I slipped into the water and within seconds both the whales were heading straight towards me. My heart was in my mouth as I realised this was going to be close, and with just an arm’s length from me it turned and looked at me and gently glided past. 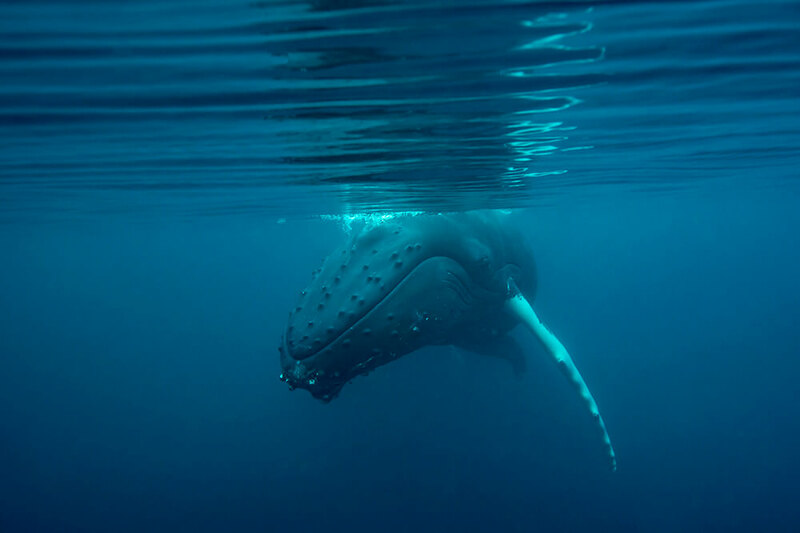 I was astounded and so happy to have such a close encounter, the gentle giants of the sea. It was amazing to see these whales underwater. Often when you watch from the land you only see part of the whale show has it blows but being in the water I got to see the whole animal and how it swims. It was an incredible experience and a massive privilege to be swimming with humpbacks in Shetland. 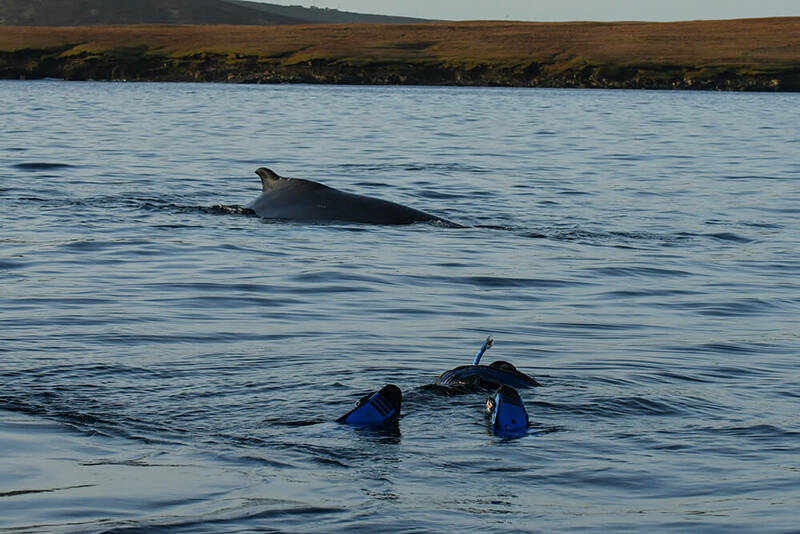 People travel to places like Tonga to swim with humpbacks and here we are doing it in the UK, getting the first underwater images of humpbacks ever taken in Britain. Shetland seas are truly amazing. First underwater images of humpback whales in the UK.